A modern Scandinavian design, utilising birch faced plywood with hot spots of colour, creates a light interior for this compact library in Marylebone. 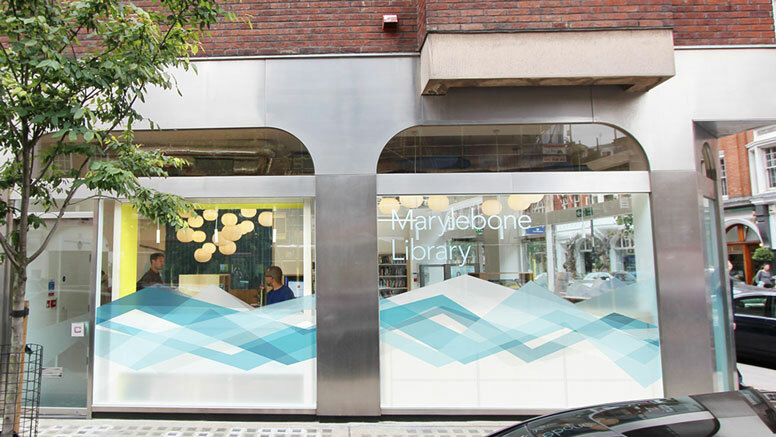 The new temporary library for Marylebone is situated at number 9 and 11 New Cavendish Street. 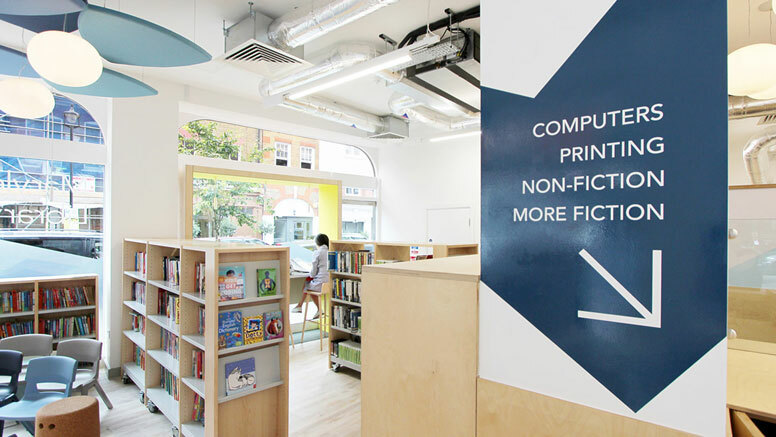 Previously these premises were two separate retail units but have now been joined and converted into a library. 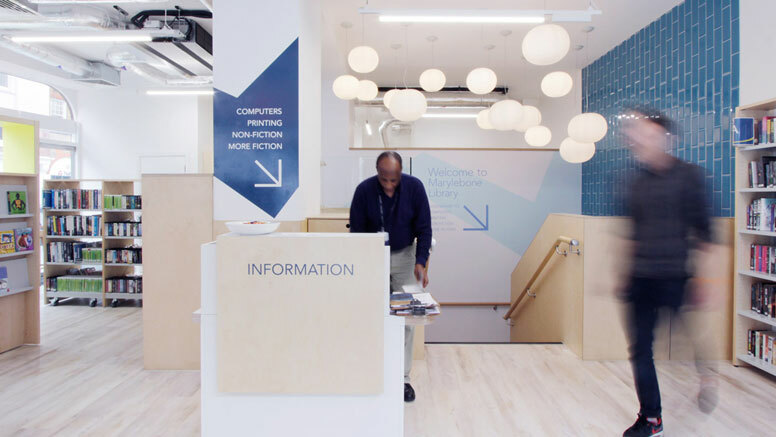 The library is considerably smaller than the previous library on Beaumont Street and as a result the emphasis is on providing children’s services and the utilisation of technology to manage the compact nature of the library. The library, designed by Bisset Adams, is split over two levels, ground and lower ground floor with the children’s library spread over the majority of the ground floor utilising the natural light from the large windows. Translucent manifestation decals have been applied to the interior glazing, which give the public library its own unique identity. Book stock is distributed over both floors with an additional emphasis on the digital learning with free WiFi in all areas of the library. DVD and CD rental stock is easily accessible close to the main entrance space. On the lower ground floor there is an open plan learning space with laptop computers, staff welfare and storage spaces. 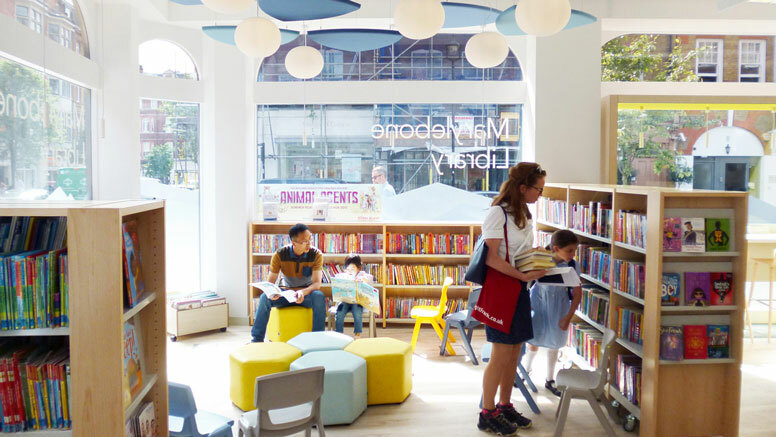 Generally the spaces in the library are adaptable as the majority of shelving is mobile, which allows main areas to be used for functions and public events. There are a number of reading and study areas on both floors ranging from high level seating, low level tables, to soft lounge seating and individual study booths. 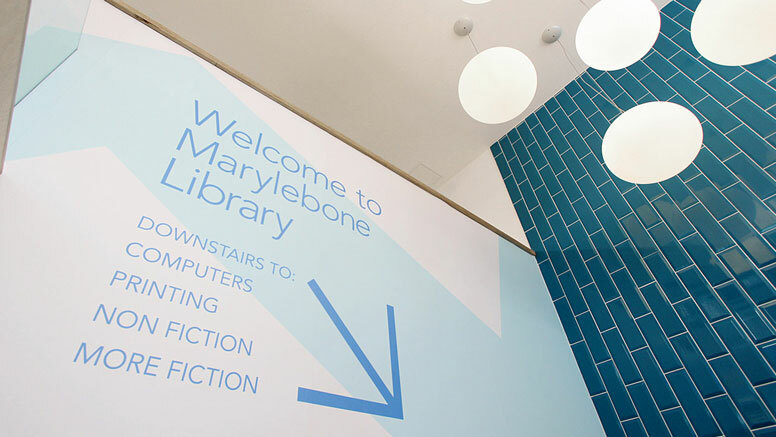 The design for the library has a modern Scandinavian feel, utilising birch faced plywood with hot spots of colour. Teal colours, the use of wood, and bold blue directional wall graphics provide a contemporary feel to the space. 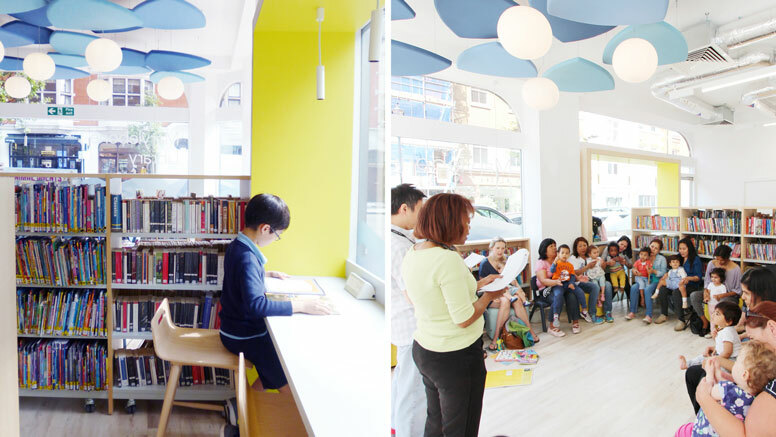 The children’s library uses calm colours, fun furniture and a lowered ceiling made up of acoustic suspended panels. Public feedback on the design has been fantastic, says Bisset Adams, with parents in particular being extremely happy with the spaces and facilities provided for the children’s library and activity groups. SLA Inspiration Award - the winners!